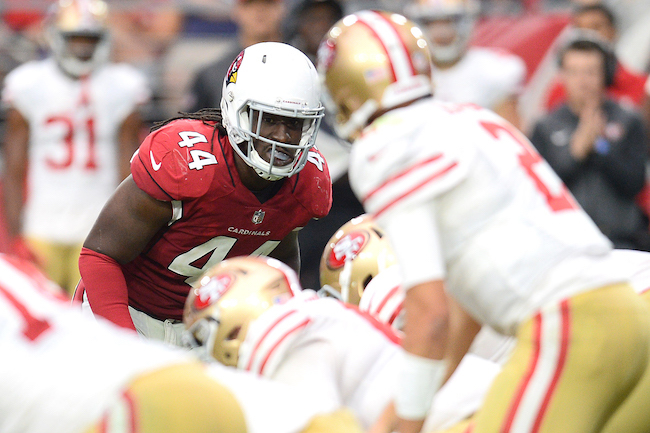 The New York Giants have signed unrestricted free agents linebacker Markus Golden (Arizona Cardinals) and defensive lineman Olsen Pierre (Cardinals). Golden’s deal is reportedly a 1-year, $4.75 million contract that includes $2.225 million in guaranteed money. The 28-year old, 6’3”, 260-pound Golden was originally drafted in the 2nd round of the 2015 NFL Draft by the Cardinals. Versatile, he has played both defensive end and linebacker at the pro level. In four seasons, Golden has played in 46 regular-season games with 24 starts. Golden’s break-out season was in 2016 at linebacker when he accrued 51 tackles and 12.5 sacks. He missed 12 games in 2017 with an ACL injury. While he returned in 2018, he missed five games and saw his production slip to 30 tackles and 2.5 sacks. The 27-year old, 6’5”, 293-pound Pierre originally signed as an undrafted rookie free agent with the Chicago Bears after the 2015 NFL Draft. The Bears cut him in August 2015 and he then signed with the Cardinals. In three seasons with the Cardinals, Pierre has played in 24 games with eight starts, accruing 42 tackles and 5.5 sacks. The transcript of Golden’s conference call with the media on Friday is available in The Corner Forum. Wide receiver Golden Tate, who the New York Giants signed as an unrestricted free agent from the Philadelphia Eagles, addressed the media on Friday. The transcript is available in The Corner Forum. The 29-year old, 6’5”, 310-pound Remmers was originally signed as an undrafted rookie free agent by the Denver Broncos after the 2012 NFL Draft. He has spent time with the Broncos (2012), Tampa Bay Buccaneers (2012–2013), San Diego Chargers (2013), Vikings (2013), St. Louis Rams (2014), Carolina Panthers (2014–2016), and Vikings again (2017–2018). Remmers has started 59 regular-season games in the last four seasons, missing five games in 2017 with a concussion and lower back issues. While Remmers has experience at both tackle and guard, he played much better at right tackle in 2017 than he did at right guard in 2018. The Oakland Raiders have signed New York Giants unrestricted free agent defensive end Josh Mauro to a reported 1-year, $1.4 million contract. 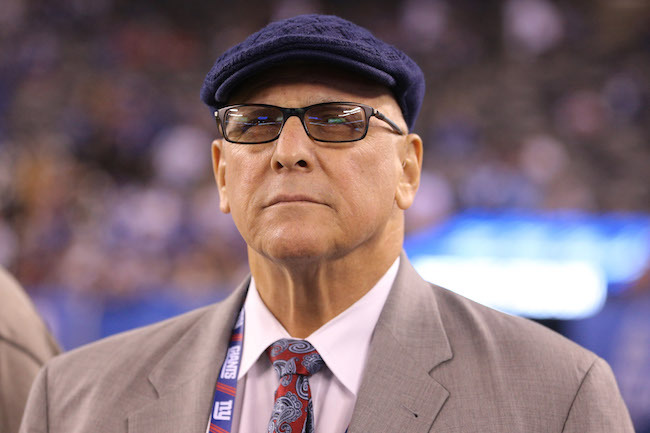 The Giants signed Mauro as an unrestricted free agent from the Arizona Cardinals in March 2018 after he was cut by the Cardinals. He was suspended for the first four games of the 2018 NFL season by the NFL for the use of performance-enhancing drugs (PEDs). Mauro played in the 12 remaining games, with four starts, finishing with 28 tackles and one sack. The 6’6”, 290-pound, English-born Mauro was originally signed as an undrafted rookie free agent by the Pittsburgh Steelers after the 2014 NFL Draft. He did not make the team, but was signed by the Cardinals after he was cut. In four seasons with the Cardinals, Mauro played in 47 regular-season games with 26 starts. The New Orleans Saints have signed New York Giants unrestricted free agent defensive end Mario Edwards to a reported 2-year, $5 million contract that can also include another $1.5 million based on sack production. The Giants claimed Edwards off of waivers from the Oakland Raiders in September 2018. He served as a primary back-up, playing in 15 games with no starts, and finishing the year with 14 tackles, 2 sacks, and 1 forced fumble. The 6’3”, 280-pound Edwards was originally drafted in the 2nd round of the 2015 NFL Draft by the Raiders. He missed most of 2016 with a hip injury. In three years with the Raiders, Edwards played in 30 regular-season games with 24 starts.